On a bitter cold day in January 1945, the Soviet Army – pushing across Nazi Germany as the Allies drew closer to victory in Europe and the end of World War II – arrived at a Nazi concentration and extermination camp in southwestern Poland called Auschwitz-Birkenau. Inside, they found people too sick and weak to move – some so emaciated they looked like walking skeletons – and children who had already experienced more tragedy than most people do in a lifetime. Though these people may have looked like victims, they were the lucky ones: the survivors. Some 1.1 million people died within the barbed-wire fences of Auschwitz during the Holocaust, but these were the few who would live to tell about the suffering and death they had witnessed – and make sure Auschwitz is never forgotten. On Jan. 27, 100 of these survivors and their liberators, along with thousands of attendees from around the world, will return to Auschwitz for the official commemoration of the 70th anniversary of its liberation. USC Shoah Foundation – The Institute for Visual History and Education is partnering with the Auschwitz-Birkenau State Museum, Discovery Education and the World Jewish Congress on unique programming called Auschwitz: The Past is Present that will support the observance of this milestone anniversary and engage a new generation of educators and students in remembering and learning from the Holocaust. 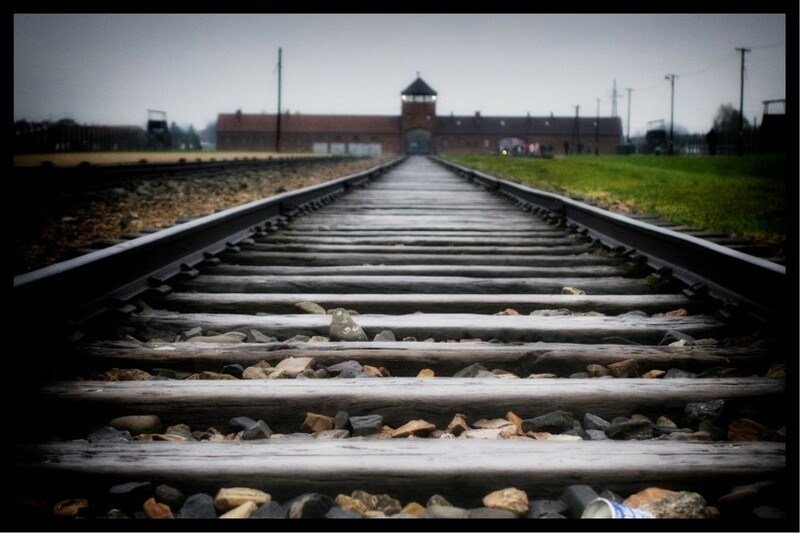 Auschwitz: The Past is Present also will bring 25 teachers to Poland for a four-day professional development program leading up to the official commemoration. USC Shoah Foundation education staff will instruct the teachers in using the institute’s Visual History Archive, a collection of more than 53,000 audiovisual testimonies from survivors and witnesses to the Holocaust and other genocides. The teachers were chosen following a worldwide contest led by Discovery Education and USC Shoah Foundation. Fifteen are from the United States and 10 are from countries around the world, including Czech Republic, the United Kingdom, Croatia and Rwanda. Twelve students ages 13-15 will also travel to Poland and participate in Auschwitz: The Past is Present programming as junior interns. The trip promises to deepen the teachers’ and students’ understanding of the history and continued importance of preserving Auschwitz as well as the testimonies of the survivors. Participants will visit the Museum of the History of Polish Jews in Warsaw, participate in workshops about teaching and learning from testimony, attend a reception with survivors Jan. 26 and the commemoration the next day. For the educators, the trip is a once-in-a-lifetime opportunity. Many say it will make their own teaching of the Holocaust more effective and they hope their students will be moved by the stories they bring back to the classroom. Anna Krisztina Berecz comes to Auschwitz: The Past is Present from Romania, where she teaches English at the Tamasi Aron high school in the city of Odorheiu Secuiesc. She said survivors’ stories, whether told in person or through testimony, help students relate to the victims of the Holocaust. The Auschwitz-Birkenau State Museum has hosted commemorations in the past, but the 70th anniversary is particularly significant: It is likely the last major commemoration to be attended by a large group of survivors and liberators, most of whom are well into their 80s. As fewer survivors remain to talk about their experiences, educating the next generation of teachers and students is crucial to maintaining widespread awareness and understanding of the Holocaust. Auschwitz: The Past is Present is led by a committee chaired by David Zaslav, president and chief executive officer of Discovery Communications. Members of the Leadership Circle of Auschwitz: The Past is Present include Len Blavatnik, Joel Citron, Stephen A. Cozen, Ronald S. Lauder, Yuri Milner, Haim Saban, Howard Schultz and Steven Spielberg, founder of USC Shoah Foundation.